After I’d recovered from the worst of my post-rehabilitation depression and anxiety, I started to learn more about what I could do and how I could move on with my life now. I’d faced a lot of isolation during my recovery but I was determined to break down those walls now – it was a big challenge, but I believe I came through these experiences a better person, with more understanding of life and of spinal injury. I made a conscious decision to focus on how to make things better for myself and my family, and what I’d need to do to raise awareness of spinal injury. That’s when I decided to go back to TAFE to study Community Welfare. It was a challenge for me, especially getting up early in the morning – I had to be up at 5:30am and getting ready to make sure I’d be at TAFE by 8am. Challenging, and definitely a lot of hard work, but I am very glad for the support network I had to take me through that time. I’m also grateful for the support of my teachers, which made it easier for me to do the course. Unfortunately I got to the stage where I pushed myself too far. Being out of the house from 7:30am to 3:30pm and traveling every day, I pushed myself hard and ended up finding out my limits. The intensive routine caused a pressure sore. 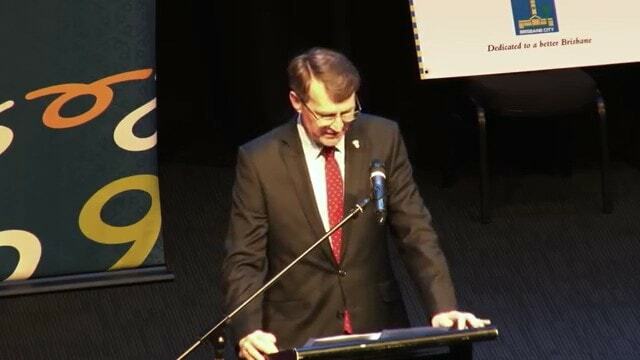 I was very disappointed that I couldn’t finish my degree, but I knew I had enough knowledge from my time in TAFE to work in the community in my own way. For me to recover from this setback, it took me 8 months and included a lot of soul-searching while I was stuck in bed for that time. I learned how far I could push myself– it was frustrating in one way, but at least I learned how many hours I could manage sitting up in the chair every day, and that’s a valuable thing to know. After recovering from this time, I started work as a volunteer, presenting at schools where I would talk to the students, grades 1 through 12, all about spinal injury and prevention. I spoke to students at schools all across Brisbane for about 5 years, but I knew that it was time for me to move on and support a different group of people. I started working as a volunteer with new patients who had just incurred their spinal injury, as well as supporting their families. I felt like that was more for me, able to give my experiences and my encouragement to the patient while they were in hospital so that they would know there was life after injury, that there was hope in a place that seemed to hold no hope at all. I would talk to their family too, about how they could be able to support their loved one. I passed on information about the resources and services available out there in the community for them. I did this for about 2 years before I realised there was no way I could do this work on my own. I needed a network of fellow mentors and supporters to make this work more effective, to make sure it was having the impact it needed. After talking to so many patients and their families in the hospital it was clear there was a real need for this service. To support newly injured clients through their recovery and through the life change after spinal injury, and to support their families as well, I set about creating this network. I spoke to supporters, ex patients and others who had been through what I had been through, and I decided we needed to set up an organisation to carry on this peer mentoring work for people with spinal injury and their families. In 2013, a group of friends and family together with myself and others with spinal injury, we started an organisation called Spinal Home Help, so that we would be able to provide more assistance and run more programs for people and their families. There was a need for programs relating to health, educational workshops, social events and more, so we started creating them. Since starting Spinal Home Help, we’ve learned that the problems are even bigger than we thought. People who incurred their injury up to 15 years ago have been coming out of the woodwork to let us know they haven’t recovered fully from the trauma of their injury. Some who have just come out of the hospital have felt the same way, that they’re scared, unsupported and anxious about the future. 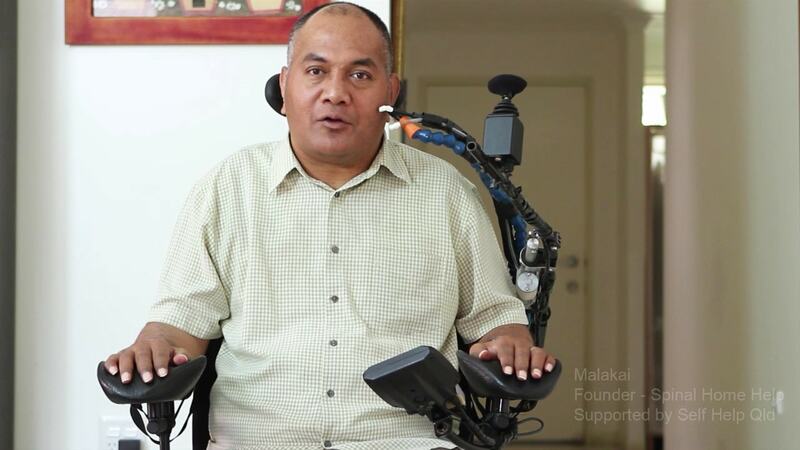 While I’m not glad that so many people are in these situations, I am very glad that they are speaking up and reaching out, so that we can provide this support and reconnect them with their communities, to assist them to reach their goals and alleviate the trauma of spinal injury. Now, Spinal Home Help is moving into another stage of our service. 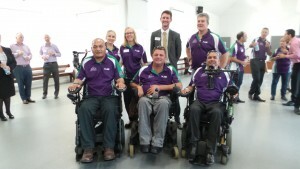 We’re working with the government to build wheelchair accessible accommodation for people with spinal injury and their families who normally live in rural and regional areas outside of Brisbane. These units would keep families closer to their loved ones, who need that love and support during recovery, and they can also be used as a form of transitional housing, so that people with spinal injury have somewhere to stay while their houses are being modified instead of staying in the hospital far longer than they need to. From the start, it was my aim with this organisation to give something back for people with spinal injury and their families, so they don’t have to go through what I went through with my family. We can make the life change after spinal injury a little easier, making the transition from hospital to home less stressful and providing some more understanding of spinal injury for all parties. Something I always love to do is to give back to the community and to make a difference, and I’m so proud to see that this work is making a change. Spinal Home Help does not receive any government or recurrent funding; we’re kept afloat through the generosity of the community and the help of our supporters, as well as some donations from corporate sponsors. The organisation is run by and for people with spinal injury, our families and friends, who all volunteer their time to do this work. Spinal Home Help always puts clients and families first.